Many buildings incorporate balconies, landscaped basements or roofs as part of their outside space. These plazas or podiums can vary from habitable space to outdoor amenity space to roof top or basement car parking. 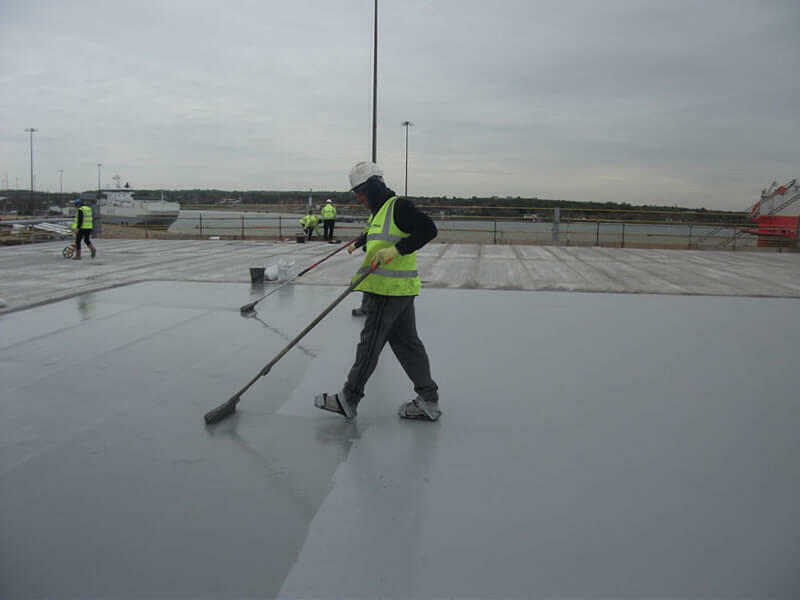 Whatever they're used for, it is important that the correct waterproofing system is used to ensure the substructure is protected from water ingress and deterioration. Liquid resin waterproofing can cope with deck movement, drainage, expansion joints, drainage outlets, be incorporated into landscaping designs and most importantly protect what is below the deck. They are also lighter in weight than asphalt alternatives and therefore provide the ideal solution where roof loading weights are a consideration. Assessing your surface is key to providing you with a correct price. Although costs are usually priced by the meter, its important to understand the existing material and if theres and preparation work needed. If you have any questions regarding resins and materials, please phone us or use the contact for to send us a message.